Laying down tracks, mixing, and mastering music is considered the dream job for most people. To be able to produce your own sound and create digitized imagery for that tune that defines the essence of your very being, and being able to listen to it played back on the most awesome sound equipment out there is nirvana for most people or in contrast, have you ever experienced thinking that you have recorded or mixed the most superb sound, only to have it played back on a grainy and harsh tones coming out of your headphones? It is only natural that you possess one of the best headphones for mixing and mastering sound. Out of the many available headphones out in the market, how do you know which one to choose? AKG is one of the leading manufacturers of microphones, headphones, and acoustic systems for professional and regular consumers. They take pride in delivering superior audio equipment and each of their new release is highly anticipated and queued by consumers. 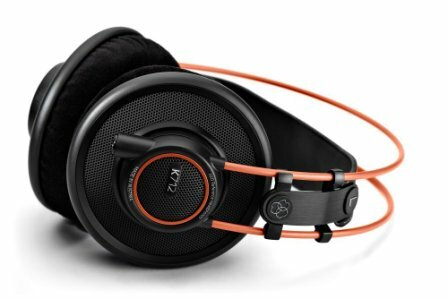 The AKG Pro Audio K712 is one of their newest generation of professional reference headphones. If you own one of these babies then consider yourself lucky. The words “Expect and Discover Perfection” engraved on the box would pop out and I must say it surprised and exceeded most expectations. There is a noticeable upgrade with the K712 reference headphone compared to its predecessors. It boasts of a 3dB improvement in the low end which is perfect for precision monitoring, providing a smooth and excellent sound experience which simply blows you away. In terms of the projected sound for the midrange and low end, it is surprisingly powerful and well balanced together but the upper regions tend to be a little harsh and unforgiving which is a little bit on the downside of this headphone. Its treble on the other hand is also more detailed and finely textured which makes the tonal difference more pronounced and clear which works well with jazz, classical, and mostly all types of music. You will find yourself listening to a whole new level of sound that you have not heard before especially with recorded music. 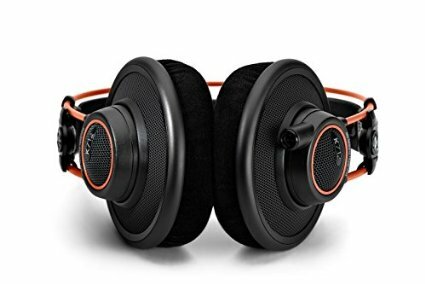 Stereo imagery also stands out with this headphone also as it produces a more detailed and smooth sound than ever before – something more precise and realistic imagery. It is an excellent headphone for everyday use by professionals and consumers alike. The AKG K712 feels very tangible and is said to age well with time. It possess the classic, tried and tested sensible AKG design. 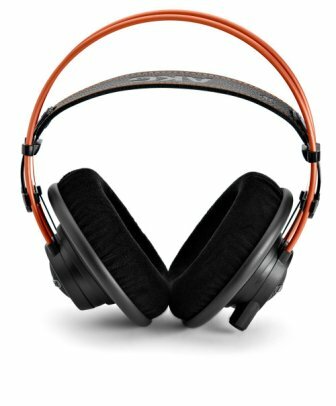 They are reference, open backed, over the ear headphones with a black and orange motif – It has a gorgeous and sleek over all look. The headband is made of soft genuine leather and auto adjustable which is an improvement from that of the K612s which was made of soft leather with soft bumps – It conforms directly to the shape of the head for max comfort. Lightweight, no fuzz, designed for everyday use, structured to clamp or fit securely over the head so as to prevent it from accidentally slipping down. The ear cups are snug, made of memory foam that adapts to the facial structure of the wearer for long term use, improving the seal to produce better sound quality and bass response. An added benefit of the memory foam is that even if you wear glasses, it will also conform to the shape of your glasses will not impede the mixing and mastering process. Each item is individually tested and numbered – ensured that each customer is getting their money’s worth in terms of quality. An elegant, velvet carry on bag with soft lining for safekeeping – ensures that the K712s remain dust or dirt free and easier to store for out of the house or office mixing and mastering sessions. A detachable/removable cable compared to the K612s for convenience which is really handy especially for on the go types. A straight cable screw on cord link adapter for 3mm and 6mm jack. 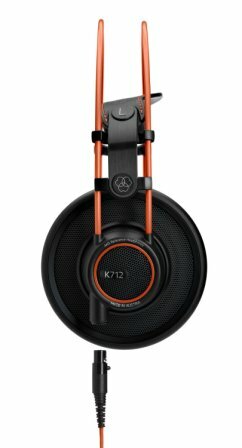 Employs the flat-wire voice coil technology – The most realistic and dynamic sound with magnificent highs and smooth bass for mixing and mastering or just for accurate monitoring which so many sound engineers and artists prefer are what separates K712 from other headphones and makes it a definite must have. Dynamic Driver – has an interesting way of taking the sound from the source and magnifying it to such a dynamic way. It takes you to a whole new level of soundstage. They are much more revealing after sliding into its frequency region. Lightweight and comfortable – provides a cushy background while working on laying down those tracks for long hours. If you connect the headphone to an iphone or an android, you would need to turn the volume up in order to 80-90% in order to get the best listening volume so it would work best with an amplifier. Expensive – at the moment, price is a little bit pricey but you can always look for a good deal to get it on retail. Requires a large voltage of power to work properly. Not recommended for noisy or congested areas because of its open backed feature, sound tends to leak out so you might get a lot of complains from your seatmate or neighbor. It would be best to have a close backed type in handy for late night hours. What it really boils down to is how well a headphone takes the sound from the source and deliver it back to the listener. The K712 takes that to a whole new level with its patented flat wire voice coil, which increases treble response and creates a nice surround sound signature. It is said that the K712 has taken what its forerunner lacked and combined the qualities of different top of the line headphone into one. Engineered for professional mixing and mastering, the K712 is a masterpiece all on its own. Considered as one of the best professional headphones with rave reviews coming out of the woodwork from professional and regular consumers. The K712s provides precise, excellent and produces awesome sound imagery with the guaranteed comfort for long time use. They’re the ultimate must have headphones for sound engineers, performers and audiophiles.